2016 NBA Finals, Who Was the Social Media MVP? 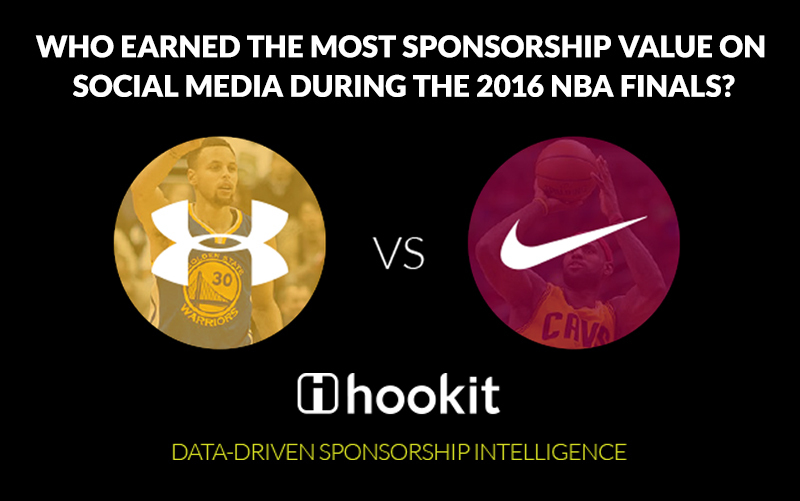 This report uses the HVM™ (Hookit Valuation Methodology) to measure and track the Earned Media Value by Steph Curry for Under Armour and LeBron James for Nike during the seven games of the 2016 NBA Finals. All content and engagement data used for the valuation was aggregated from the social media posts of NBA players, teams, media, fans, and the NBA. All analyzed posts contained hashtags and mentions relevant to Steph Curry or LeBron James. Be the first to receive future special reports from Hookit by subscribing to our mailing list.